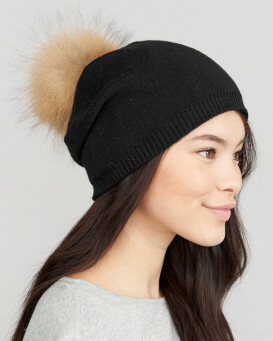 A fleece trim interior headband provides comfort to our Slouchy Icelandic Knit Wool Beanie with Silver Fox Pom Pom for women. 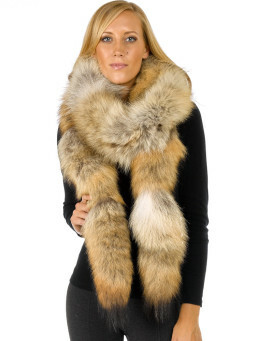 This icy design comes crafted with a lush large silver fox pom pom accent for an elegant look. The knit wool shell features a trendy trim in a slouchy style for a comfortable effect. The unlined style is comfortable and lightweight atop your head. A one size fits all appeal makes this beanie a great gift idea for the special woman in your life. Sophisticated and stylish, our knit wool beanie is sure to make a splash this winter.